With Christmas just a little over a week away, I've been decking the halls. Or the walls anyway. I loved this wreath made by Rachel Denbow so much so that I made my own. 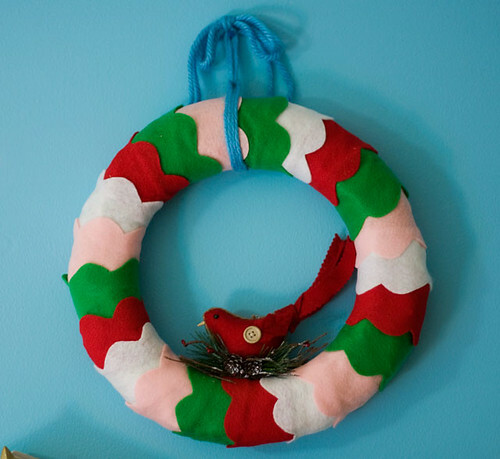 With a little help from this tutorial, a wreath, some hot glue, and a few pieces of felt later, I was set. I might have also used this as a golden opportunity to purchase a new pair of Gingher scissors which I totally geeked out over. Yup, that's the life of a crafter. Give me a shiny new pair of scissors and I'm in heaven. In Rebekah's tutorial, she used a template for tracing the scallop shape. 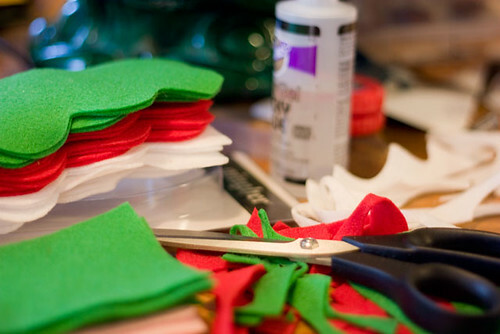 I opted to cut the felt into equal pieces and freehand the scallop edge. It's not perfect, but I love it. I also added a cute little bird ornament to the inside. Isn't he sweet? 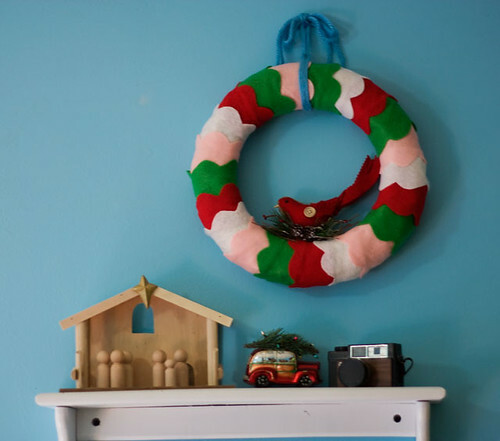 I hung the wreath up with a bit of yarn above a shelf. The shelf is decked out with another ornament, one of my vintage cameras, and a nativity scene. I used to collect nativity scenes but in all of my moving, I lost the box containing them. This nativity is also Rachel Denbow inspired. 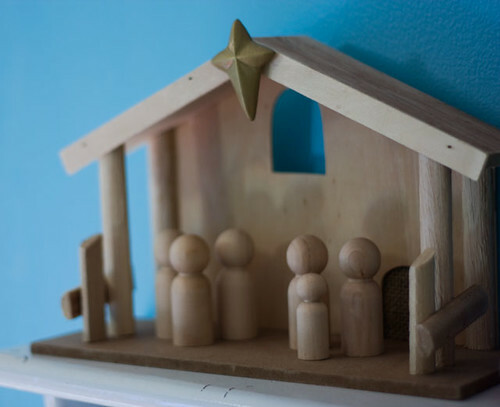 I used a stable found in the dollar section at Target & paired it with wooden people found at the craft store. I love the simplicity. I have a lot of holiday baking in my future, but I'm also hoping to use those new scissors of mine to make a few Christmas stockings. It's such a busy time of year, but I love it! How totally adorable!! Looks so simple too. I've just found your blog and am loving it. I'm now following. I hope you'll stop by my blog some time and say hi (and follow back if you're interested). So cute with the little bird and all. THIS IS SO CUTE! i love wreaths they're so festive and pretty and yours certainly is festive and super pretty! love the little bird touch! Looks totally great. You did a wonderful job. I always see all these DIYs and I hardly ever try them. Thanks for such kind words, ladies! Happy holidays!